Happy Easter from San Francesco al Monte! 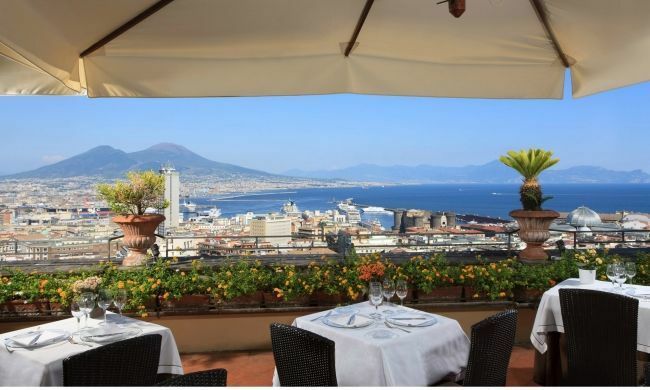 "La Terrazza dei Barbanti", our restaurant, offers you for the Easter day a selection of traditional Italian dishes revisited by our chef, to be enjoyed on our panoramic terrace with the wonderful Gulf of Naples as a backdrop. Enjoy a moment of pure relaxation before the fateful yes. 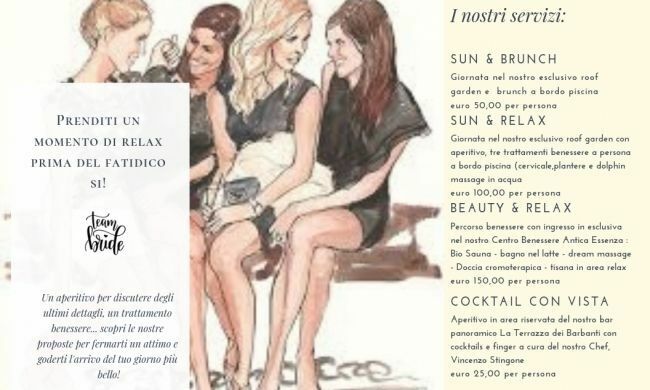 An aperitif to discuss the latest details, a wellness treatment, a break dedicated to you to share with your closest friends. A dinner at our panoramic restaurant? A couple massage? A chocolate tasting? The Hotel San Francesco al Monte offers you a series of gift packages designed for a moment of wellness and taste. Discover them all! 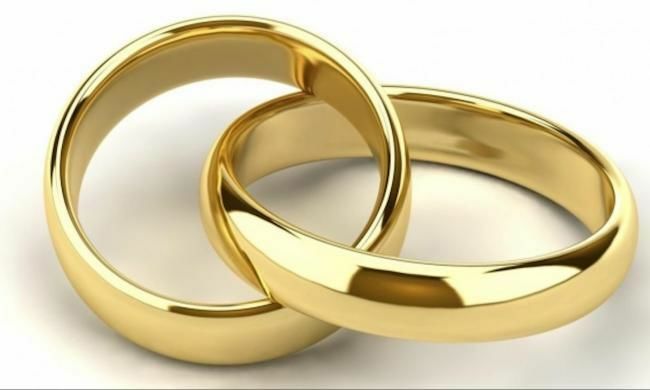 The wedding day is the most important of our lives. The spouses take care of every small detail so that their day is memorable for all the guests. But takes cares of the couple? We do! Thanks to our extensive experience in organizing ceremonies, here is a package dedicated to the newlyweds and their first wedding night. A special treatment for two based on milk, cream and petals of roses in our wellness center ANTICA ESSENZA. Duration 60 minutes. Penalties for cancellations: Cancellation policy: Up to 3 days before arrival - no penalty. Up to 48 hours before arrival - penalty equal to 50% of the total. Than 48 hours before arrival - penalty equal to 100% of the total. Cancellation Policies: Up to 3 days before the arrival - no penalty. Up to 48 hours prior to arrival - penalty 50% of the total. Than 48 hours before day of arrival - penalty 100% of the total. 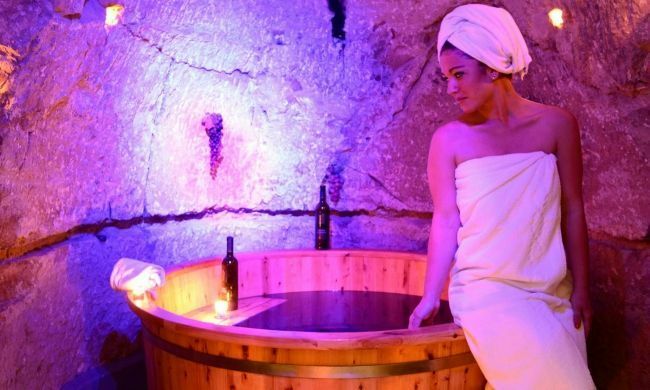 San Francesco al Monte Hotel and its wellness area "Antica Essenza" offer this package to all those who wish to get in touch with the ancient and evocative atmosphere of the Convent. Expert hands will guide you to discover the award-winning and exclusive "Dream Massage", a sensory journey between East and West that combines seven massage techniques contained in a single treatment (Ayurveda, shiatsu, lymphatic drainage, Californian, physiotherapy, reiki, deep surf); then you will spend the night in the most ancient rooms of the Convent, all with sea views and equipped with the most modern comforts. Breakfast in our panoramic restaurant "La Terrazza dei Barbanti"
Terms and conditions: The time of treatment must be established at the time of booking confirmation; credit card required as confirmation at the time of booking, payment on departure/cancellation without penalty within 48h from the arrival date, starting from 48h from the date of arrival 100% penalty. The charming hotel San Francesco al Monte dedicates this special offer to guests wishing to really come into contact with the atmosphere authentic and charming of the convent. You will stay only in the oldest and most charming hotel rooms, all overlooking the sea, with Jacuzzi tub or shower and savor all the details of a charming stay followed step by step to the discovery the essence of the ancient Naples. One night stay for two in Superior or Junior Suite room. 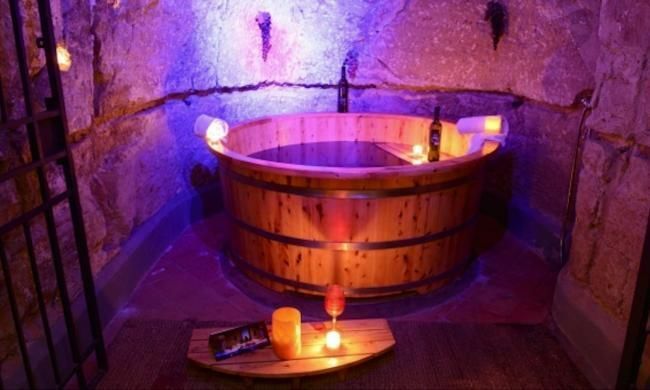 60 minute multisensory path for the couple in the new wellness area "Antica Essenza" consisting of a wine bath, emotional shower, red wine tasting and wine couple massage. Cancellation policy: up to 3 days before arrival - no penalty. Up to 48 hours before arrival - penalty of 50% of the total. Starting 48 hours before arrival - penalty of 100% of the total. 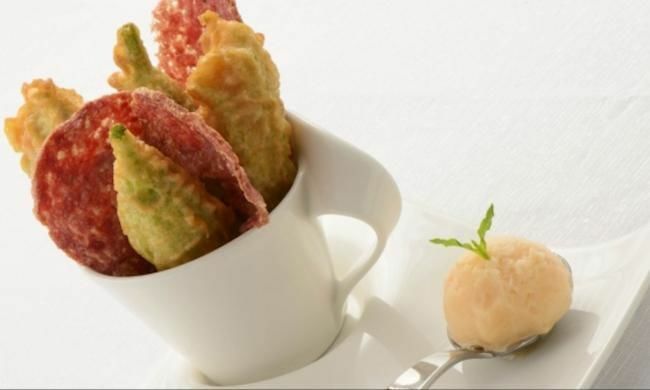 Three-course dinner at the panoramic restaurant "La Terrazza dei Barbanti"
Check in: From 3 p.m. - Check out: before 12.00 a.m.
Penalty for cancellations: Cancellation policy: Up to 3 days before the arrival - no penalty. Up to 48 hours before arrival - penalty equal to 50% of the total. Than 48 hours before the day of arrival - penalty equal to 100% of the total.